Home » Power Central » What is a Power Meter? 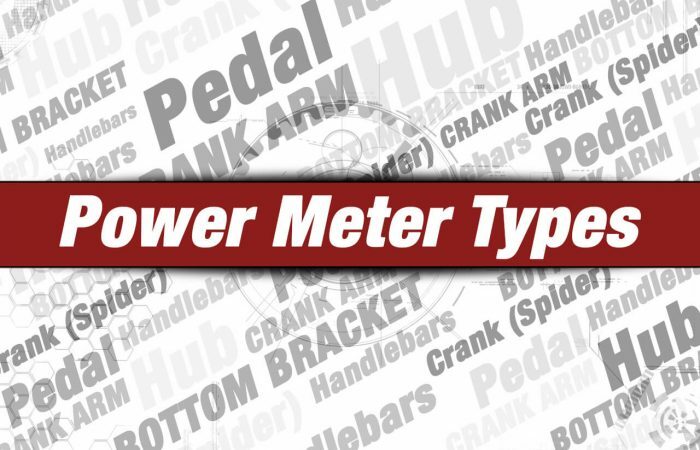 We often get the question from those new to cycling, “exactly what is a power meter”? Folks also want to know how they work and why they should use one. We love these questions, so let’s get right to it. A power meter is an electronic device that measures the power, or torque, the rider generates when they turn the pedals. Hence the term ‘power meter’, as it is truly metering or measuring power. There are several different types of power meters, depending on where on the bike they are located. For example, a crank-based power meter has power sensors built into the crank (typically the spider). A pedal-based power meter has power sensors built into the pedals. You get the point. 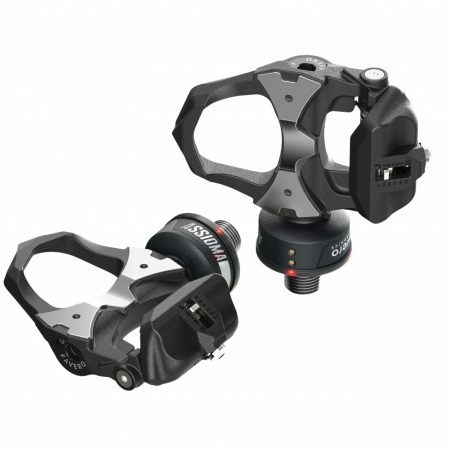 You can put a power meter on virtually any bicycle – road, mountain, track, cyclocross, BMX, etc. Power is a measurement of the work you do on the bike. It is the most accurate way to measure your effort. Cycling power meters measure power in watts. Power meters measure torque using what is called a strain gauge. A strain gauge is a tiny electronic device whose electrical resistance varies depending on how much resistance (strain) is put on them. 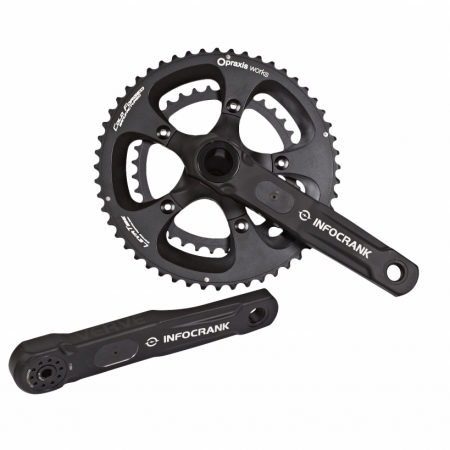 In the case of a crank arm-based power meter for example, the strain gauge measures how much your crank arm is flexing when you push down on the pedals. Using electronics located within the power meter, the strain gauge converts this flex into an electrical resistance. Based on the amount of electrical resistance, the power meter can calculate how much torque the rider is generating. Torque measurements are multiplied by cadence in order to calculate power (again, measured in watts). The number of strain gauges, the alignment of the strain gauges and the materials used all determine how accurate a power meter is. The precise measurement of torque is the biggest challenge power meter manufacturers face. 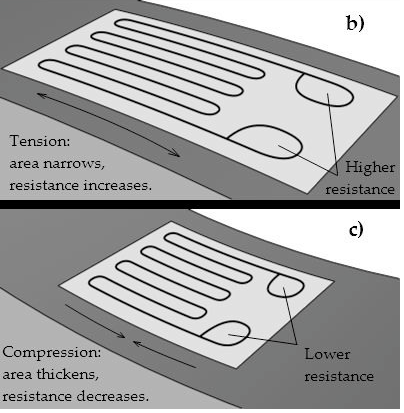 The microscopic bending that the strain gauges must precisely measure is the key to accurate results. This largely explains the cost inherent in power meters. It requires an extremely high level of engineering and precision to fit the strain gauges within a power meter. Regardless, strain gauge-based systems were the original method of measuring power. These systems remain the most widely used and accurate power meters today. Data from the power meter is transmitted in real-time to a handlebar mounted computer (‘head unit’) or to your smartphone or GPS watch via a wireless protocol. 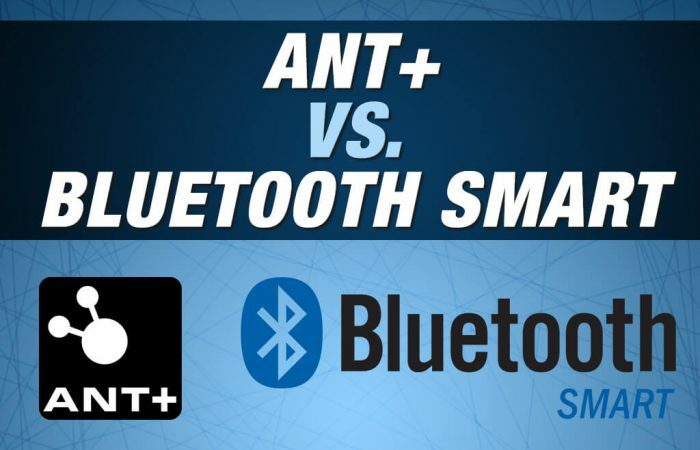 The two wireless protocols used by power meters today are ANT+ and Bluetooth SMART. 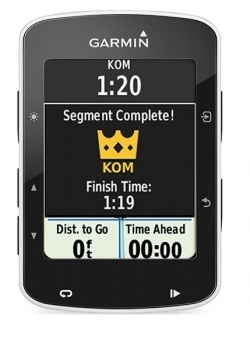 The head unit displays power data such as current, maximum and average power, as well as serves as an all-around cycling computer, displaying things like heart rate, speed, distance time and much more. With cycling, many things affect how fast you go. Winds, gradients, weight and more all determine your speed, so it’s very difficult to gauge precisely how hard you’re working. With a power meter, you can directly measure your work rate and fitness. It takes the guesswork out of riding and allows you to quantify your efforts. Power meters provide an objective measurement of real output. This affords the rider numerous advantages. Simply put, if you want to know how you’re doing, check your power! 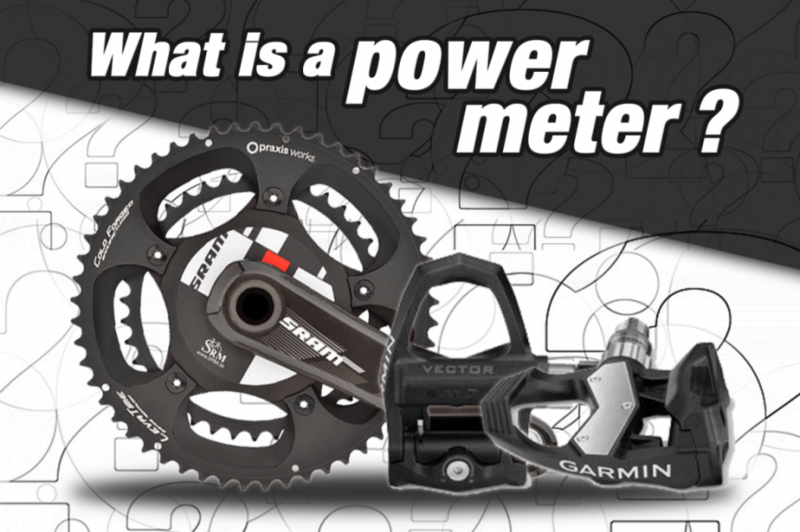 So next time someone asks you, “what is a power meter”, you’ll know! Power meters are an invaluable piece of technology when it comes to tracking and improving your fitness. 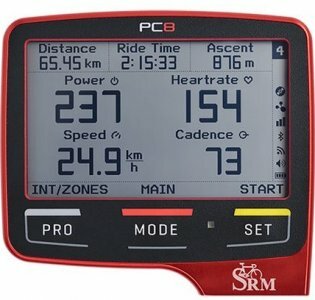 While power meters have been around for nearly 30 years – since SRM developed the first system in the late 80’s – they’re now more popular and more affordable than ever. One of the first SRM power meters. Power meters have come a long way!